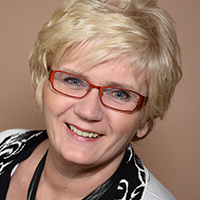 Doris Boch studied international transportation business in multiple locations at the global logistics company Schenker, including special on the job training at the ‘Stinnes college’. After having been the logistics department manager for Schenker at the Omya office in Cologne for six years, she joined Omya in 1989. Her focus remained logistics. She was the team-lead during the SAP (MM) introduction phase and is today the European specialist for all VMI project implementations of Omya. Omya has a long history in vendor managed inventory systems. Cross-company agreements between customers, transport companies and suppliers have been the basis to optimise the supply chain for more than 25 years. Although not called a vendor managed inventory system, ‘Silomya’ was the buzzword to characterise the streamlining of delivery times, stock management and reduction of repetitive administrative workload. With the digital transformation of our industry, the challenge today is to pursue a fully integrated supply chain. Forecasting (big data analytics), VMI business logic (touchless reordering), sophisticated measuring filling levels of silos for powders, proof of delivery, documentation, and finally the end-to-end analysis; all this can nowadays be integrated into a digitalised workflow. Hub connectivity to standard ERP systems (e.g. Elemica/SAP HANA Cloud) is just one part of this process. By means of a successfully implemented business case, this presentation explains the day-to-day challenges of such projects and highlights the positive effects of lean and reliable organisational structures.